Can a Neighborhood Affect an Older Adult’s Health? 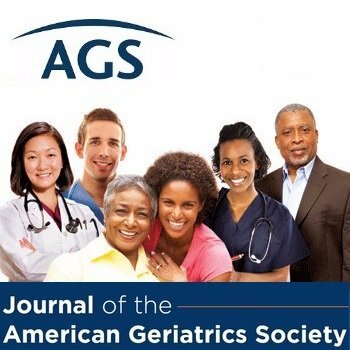 According to a new study published in the Journal of the American Geriatrics Society, living in socially and economically disadvantaged neighborhoods can have a negative influence on older adults’ health and well-being. Older adults who live in disadvantaged neighborhoods report having poorer health and have more difficulty getting around and performing daily tasks. What’s more, older adults living in disadvantaged neighborhoods tend to have more chronic illnesses and higher rates of death than do older adults who live in less disadvantaged neighborhoods. Many issues affect the relationship between neighborhoods and health. One may be that disadvantaged neighborhoods have lower levels of social support for older adults and their caregivers. These neighborhoods also tend to have fewer physical resources, such as access to health care, retail stores, and recreational facilities. Social and other resources are important for older adults. Therefore, older adults living in disadvantaged neighborhoods may find it harder to maintain well-being while aging. This can make it challenging for our society as a whole to benefit from our increased longevity. The research team who conducted the study used the 2013 Medicare Health Outcome Survey (HOS) survey. This is a telephone and mail survey that was given to older adults enrolled in Medicare Advantage (MA) health plans (MA plans are insurance plans offered by private companies approved by Medicare). Around 17.6 million people are enrolled in MA plans. This is 31 percent of the population eligible for Medicare (the government program that provides health insurance to people 65-years-old and older). Information about 187,434 older adults was included in the study. The researchers concluded that disadvantaged neighborhoods are an important predictor of mobility and other limitations among MA beneficiaries, particularly for those with multiple chronic conditions. Compared to those living in less disadvantaged neighborhoods, MA beneficiaries who have multiple chronic conditions and who live in the most disadvantaged neighborhoods are 12 percent more likely to report difficulty performing at least one daily task, such as bathing, dressing, or keeping house. The researchers suggested that increasing resources in disadvantaged neighborhoods to support health programs for older adults could improve their health outcomes. This summary is from “Linking Neighborhood Context and Health in Community-Dwelling Older Adults in the Medicare Advantage Program.” It appears online ahead of print in the Journal of the American Geriatrics Society. The study authors are Daniel Jung, BS; Amy Kind, MD, PhD; Stephanie Robert, MSW, PhD; William Buckingham, PhD; and Eva DuGoff, PhD, MPP. This entry was posted in JAGS Research Summaries and tagged activities of daily living, disadvantaged neighborhoods by HIA Guest Blog. Bookmark the permalink. Disadvantaged neighborhoods also tend to have higher levels of environmental contaminants (air pollution, lead paint, water and sewer issues, noise).